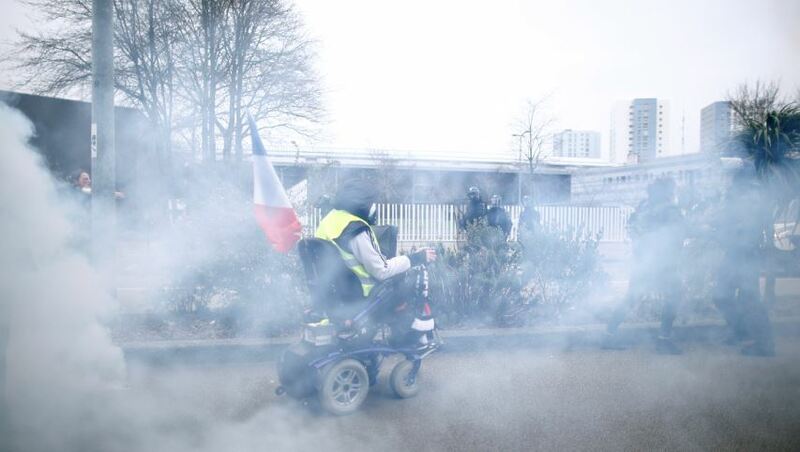 French President Emmanuel Macron’s decision to get tough on citizens protesting his government appears to have backfired as members of the yellow vest movement take to Paris’ streets. Nearly 50,000 protesters trampled Sunday through towns and cities dotting France, including Paris, Bordeaux, Toulouse, Rennes and Marseille. Street marches began peacefully enough in Paris but soon degenerated into a maelstrom of violence and chaos. Some protesters threw haymaker punches at baton-wielding police officers while other agitators lit cars on fire outside the Champs Elysees. Much of the sting from the yellow vest protests, which began in November, had dissipated after Macron pulled back on an unpopular carbon tax. Some believe these protesters “take as a pretext that they are speaking in the name of the people” when “in fact they are merely speaking for a hateful mob” that targets “police, journalists, Jews, foreigners, homosexuals,” Macron stated during a Dec. 31 address. The French president’s comments came weeks after he moved to eliminate a gas tax that originally animated the mob. Those concessions cost the French government nearly $11.39 billion in lost revenue, enough to send French borrowing costs higher as investors fretted about debt levels and Macron’s ability to reform the eurozone’s second largest economy. He’s caught flak from environmentalists as well. Greenpeace and three other organizations initiated a lawsuit on Dec. 18 claiming France is not doing enough to tackle climate change. They are giving the government two months to formulate a response, after which they will move forward with their lawsuit. The pressure prompted the government to affect a stiff upper lip. 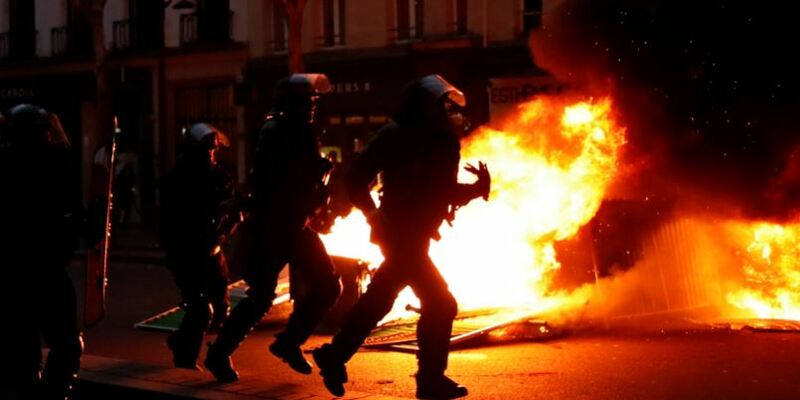 France will not relent in pursuing economic reforms, government spokesman Benjamin Griveaux told reporters Friday, branding the remaining protesters agitators seeking to overthrow the government. Macron, a former banker who citizens have branded the president for the rich, echoed a similar sentiment in a tweet Sunday to his followers. “Once again, the Republic was attacked with extreme violence – its guardians, its representatives, its symbols,” he said.